Photo: Beto Santillán. Machu Picchu Tours & Machu Picchu Travel. Terraces of Tipon, Cuzco, Peru. Water channel of Tipon, Cuzco, Peru. Fountain of Tipon, Cuzco, Peru. Fortress of Saqsaywaman, Cuzco, Peru. Incan stonework, Palace of Inca Roca, Cuzco, Peru. The Stone of Twelve Angles, Palace of Inca Roca, Cuzco, Peru. Road to Maras, Sacred Valley, Peru. 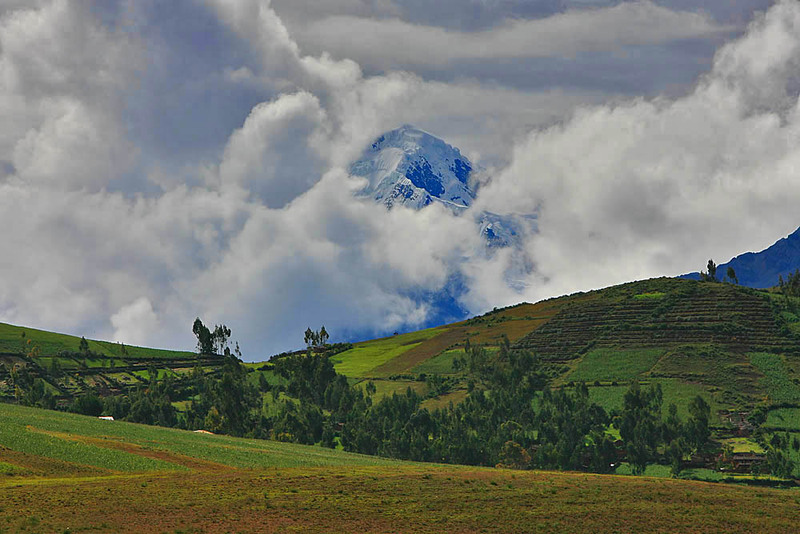 Apu Salcantay, Sacred Valley, Peru. Man of Huilloc, Sacred Valley, Peru. Agricultural terraces of Moray, Sacred Valley, Peru. Ancient salt ponds of Maras, Sacred Valley, Peru. Agricultural terraces of Pisaq, Sacred Valley, Peru. Solar calendar of Pisaq, Sacred Valley, Peru. Stairway to the upper ruins of Pisaq, Sacred Valley, Peru. Temple of the Sun, Ollantaytambo, Sacred Valley, Peru. Inca Trail, Machu Picchu, Peru. Wiñay Huayna, Inca Trail, Machu Picchu, Peru. The Andes as seen from Machu Picchu, Peru. Agricultural terraces, Machu Picchu, Peru. Western side of the citadel, Machu Picchu, Peru. Temple of the Three Windows, Machu Picchu, Peru. Machu Picchu as seen from Putucusi, Peru. Industrial district, Machu Picchu, Peru. Temple of the Intihuatana (solar calendar), Machu Picchu, Peru. Intihuatana (solar calendar), Machu Picchu, Peru. Temple of the Sun, Machu Picchu, Peru. Natural rock forming the condor's wings, Temple of the Condor, Machu Picchu, Peru. Sculpture of the condor's head and body, Temple of the Condor, Machu Picchu, Peru. Interior, Temple of the Condor, Machu Picchu, Peru. Huayna Picchu as seen from Machu Picchu, Peru. Temple of the Moon, Machu Picchu, Peru. Inca Drawbridge, Machu Picchu, Peru. 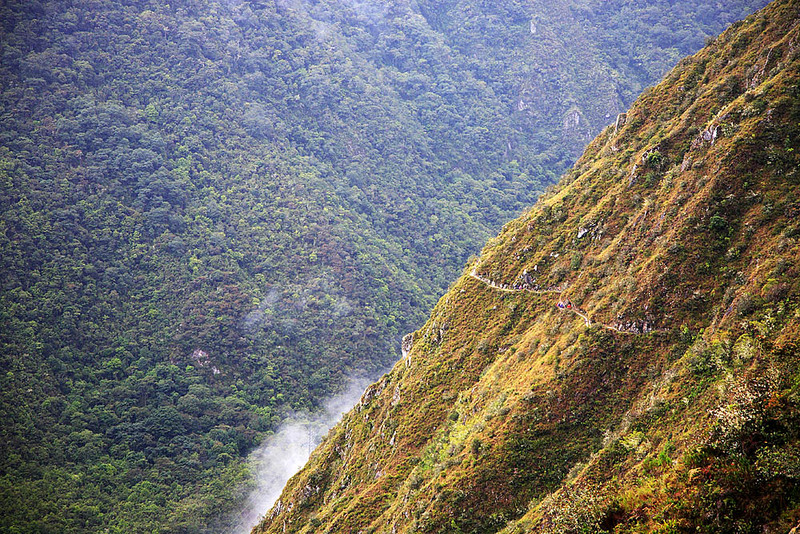 Trail to Intipunku (upper left) as seen from Huayna Picchu, Machu Picchu, Peru.